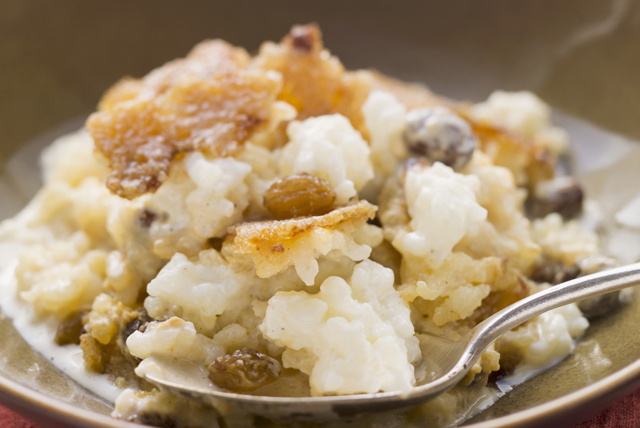 Cooked in your slow cooker, this delicious rice pudding couldn't be any easier to make. Extra creamy and rich in flavour, it's the ultimate comfort-food dessert. Combine all ingredients except cream cheese product in slow cooker sprayed with cooking spray; cover with lid. Cook on LOW 2-1/2 to 3 hours (or on HIGH 2 hours) or until thickened, stirring after each hour. Stir in cream cheese product; cook, covered, 5 min. or until cream cheese is melted. Stir until mixture is blended. Substitute your favourite dried fruit, such as dried cranberries or chopped dried apricots, for the raisins. Serve topped with thawed Cool Whip Whipped Topping.